I'm still recovering from my friend Hilary's wedding on Thursday and coming to the conclusion that hangovers are as much about tiredness as alcohol. I feel like I'm hungover, yet I didn't drink! Instead I was the designated driver determined to party to the end, meaning I got to bed at 2.15am after a 2 hour drive back from the hotel and around Belfast to deliver the girls home. Exhausting but well worth it to be there until the last song celebrating with a gorgeous newly married couple and their friends & family. However, there was some serious bad planning on my part because I was woken up at 7.30am the next morning by the kids wanting to see pictures and hear all about the wedding. 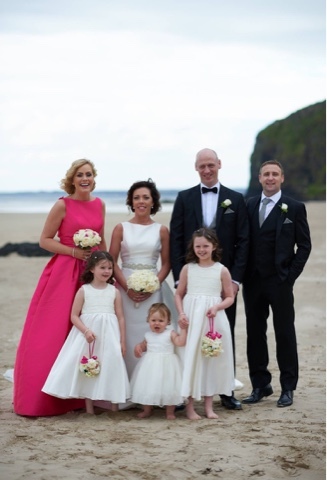 What better way to keep awake in the aftermath than to blog about the style at this wedding - and there was so much to see. Hilary's sister owns Sarah-Jane Boutique in Magherafelt and her mum used to be a fashion buyer so the style stakes were always going to be high. 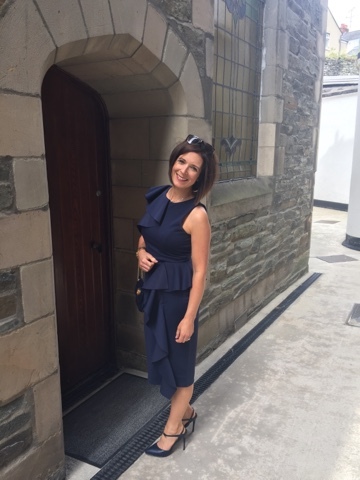 There were three main trends - floral, brights and navy (with so many of the choir turning up in navy/blue that it almost looked like our uniform!). Lengths were predominantly midi and skirts were a mix of full and pencil. 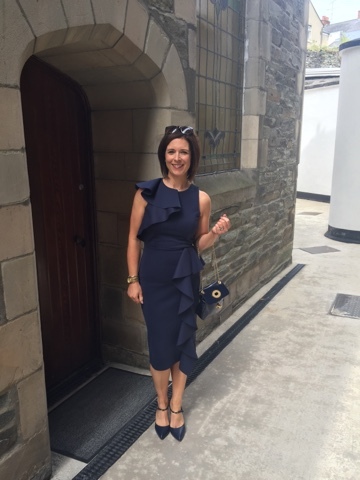 Navy is so easy to wear for a wedding and completely acceptable - unlike black which I can't help feeling isn't just right for a traditional church wedding. I know many people do wear it and completely rock it but I always feel it looks a bit funereal. Navy, however, is perfect if you are shy of a strong colour but still want to look wedding appropriate. I bought my dress in ASOS a few months ago after seeing it on Lorraine one morning during her style segment with Mark Heyes. He had it on a curvier model and suddenly the dress, which looks like nothing on the ASOS size 6 girl, came alive. I loved the length, the scuba style material which is stretchy but thick enough to cover any lumps, bumps & vpl, and the frill, which just gives it an on-trend feel. This length is great too - much more flattering on me than something above the knee. I agonised over shoes and bag for weeks - initially wanting a coloured shoe but everything I put on looked like it was clashing with the dress. It soon became clear that simplicity was key and I started the hunt for a plain navy shoe that was a little bit special, ideally with some gold accents. 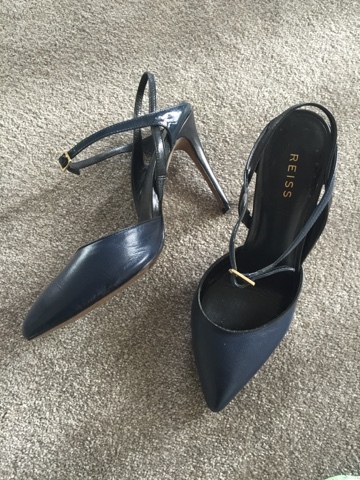 I found these shoes on eBay after much searching....I liked the fact that they had some black in them (heel/strap and piping at the front) and the fact that they are Reiss shoes so the leather is lovely quality. They had only been worn a couple of times and as soon as I put them on, I knew they would be perfect for all day dancing - the ankle strap gives enough support to take the pressure off the front of the foot. I wore them from 9am until 11.45pm when I got into the car and switched to sheepskin boots for the drive home. Dancing, singing, walking, standing...it was all a breeze in these shoes. The bag was another palaver as I wanted a gold one initially and bought one from TK Maxx (and ordered another from Coast). 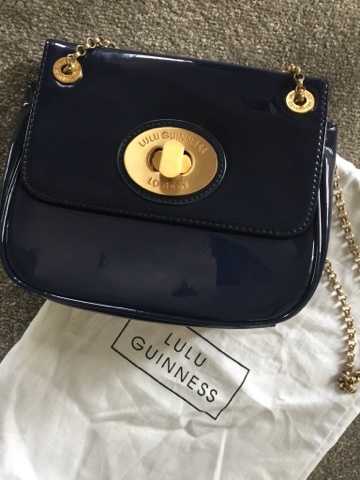 In the midst of it all, my friend Ruth from DejaVu was telling me about the navy dress she's wearing to a wedding this weekend and she offered me her Lulu Guinness bag as she knew it would be perfect with my dress too. What a star! She also gave me her gold Michael Kors watch to wear on the day. Sticking with the navy theme, if you've got a wedding or special occasion coming up, I thought I'd share a few dresses I've spotted online today - starting with ASOS. I promise it's not a PR piece for them, it's just that I find it such a great site to search for wedding options. 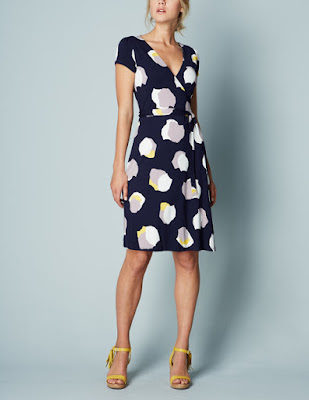 The videos are great for giving you a better sense of the colour/movement of the dress and there's free delivery and returns so I ordered a ton of dresses to try on and sent them all (bar one) back. They also have so many options for every shape, size and budget with petite, tall and curvy ranges, as well as maternity. 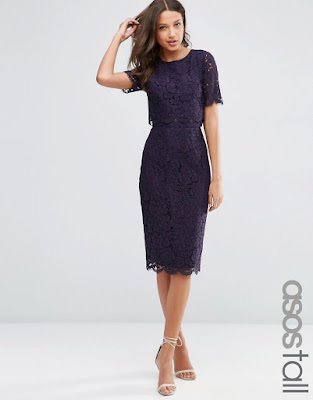 This first ASOS one, I actually ordered in a different colour-way for the wedding and sent back as it was a bit too pastel for me - I didn't realise it came in navy! 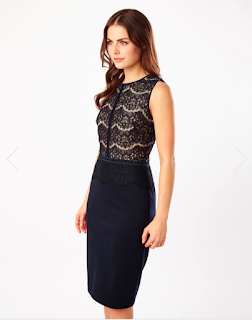 More lace now and this one is part of the tall as well as the petite range - all bases covered. I love the crop top illusion - great for creating a waist and very flattering on the tummy. 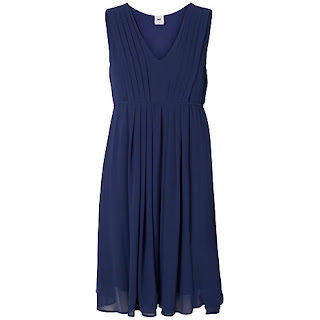 This one is from the curve range which comes in size 18-28 and can be ordered in a maxi length too AND in petite sizing. 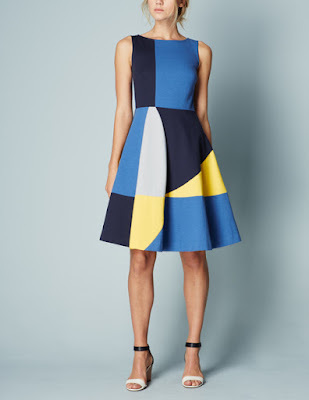 This is a bit more colourful but I have admired it so often on the Boden website - just love the colour combination! This next one is stunning and has the lovely mesh overlay that allows you to show a bit of leg in a very flattering way. It's really well reduced too though only left in an 8 or 10 currently. Ok - I can't keep my eyes open any longer. I hope I've helped if you're on the hunt for some navy wedding dress inspiration...remember it's a great colour for all year round - not just summer! Meanwhile I'm hitting the sack...energy levels are well and truly sapped. 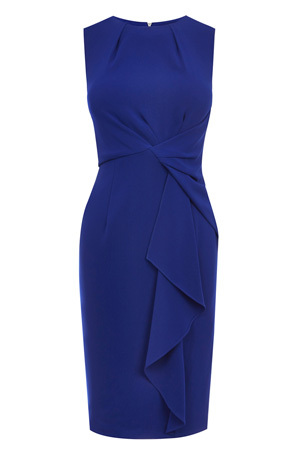 The dress really is fab - so flattering yet the ruffles give it edge and interest. I imagine you'll get a load of wear out of it as well.